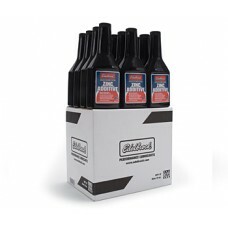 Developed by Edelbrock as a result of the changes in modern motor oils. Edelbrock's High Performance Zinc Additive is designed for sports cars, muscle cars and exotics using traditional V8's. This special formula of zinc, phosphorous and moly is the ideal chemistry to add wear protection to any motor oil. Because it will not rub, scrape or wear off, it is perfect for cold starts and infrequently driven vehicles. This will also extend engine life and increase mileage and horsepower. One 12-oz bottle treats up to six quarts of oil (approx 6 litres). A great addition to new engine break-in. 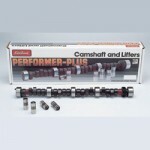 Ideal for high performance engines with flat tappet camshafts. Sold in 12 Fl Oz bottle.